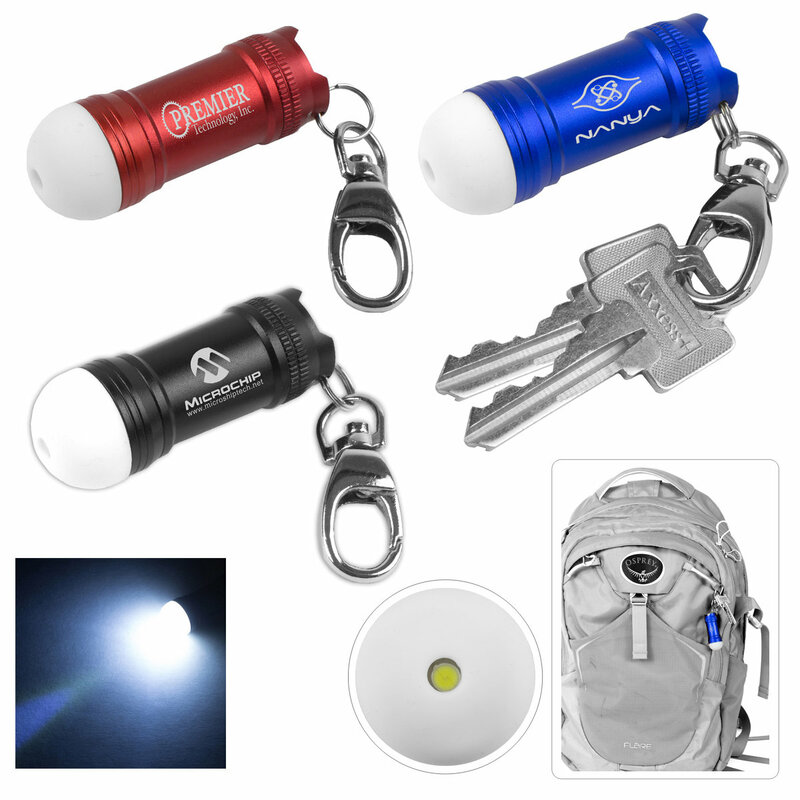 Mini Glowing Bubble Tip LED Aluminum Keychain Keylight with Lobster Clip. $2.30 each. Durable and stylish metal keychain keylight features soft silicone glowing LED tip with convenient keyring for attaching keys and soft touch on/off rubber button on end. Pricing includes a laser engraved imprint. Email Proof Charge: 7.50 (G), add 2 days to production time. 2nd Location Laser Engraving Add: 0.30 (G) Plus Setup Charge. Price Includes: Laser Engraved imprint, one location.